We rely on strong partnerships. As an APN Standard Consulting Partner of AWS, we support our customers in designing, migrating or creating solutions and, thanks to our experience as the first Swiss provider of AWS management and with our team of AWS Certified Solution Architects, we are well acquainted with the AWS ecosystem. In cooperation with the "myclimate" foundation, we offer all our products as a climate-neutral solution and fully offset our CO2 emissions. In the interests of a sustainable energy industry, we act climate-neutrally and thus support myclimate's various climate protection projects. Our data centers guarantee the secure implementation of your website. However, the server systems cause considerable CO2 emissions. nine counteracts this environmental impact by supporting climate protection projects in Switzerland in cooperation with the "myclimate" foundation. In this way, we fully offset our CO2 emissions and act climate-neutrally in the interests of a sustainable energy economy. We are one of only a few Intel Platinum Partners in Switzerland and use exclusively Intel products for our server systems, which are specially optimized for operation in the data center and offer a very high reliability and energy efficiency. 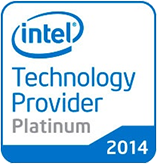 In addition, nine is an official Intel Cloud Technology Partner. We operate our data centers at three independent locations in Zurich (Switzerland). The productive servers and data backups are distributed to different locations. Our three data centers are interconnected via a route-redundant Dark-Fiber-Ring and can therefore exchange data redundantly with 2x 10 Gbps between the individual data centers. In addition, high availability is ensured by a ring connection: In the event of an interruption of a part of the ring, the remaining parts automatically take over the data transfer. The backups of our systems are stored in a separate location, separated from the other systems. All locations have biometric access control, redundant emergency power systems with diesel generator and batteries, redundant air conditioning, a gas fire extinguishing system and video surveillance. We rely on strong cooperations!